Freshly-minted undisputed UFC featherweight champion Conor McGregor (pictured) wasn’t anywhere near Amway Center in Orlando for UFC on FOX 17, but his presence could still be sensed throughout the arena. If you’re a featherweight or lightweight, McGregor is the big money fight you’re targeting. Guess what? McGregor knows it and wasn’t shy about pointing it out after being called out by Nate Diaz and UFC lightweight champ Rafael dos Anjos on Saturday. Diaz unleashed an R-rated tirade directed at McGregor after beating Michael Johnson, while dos Anjos suggested McGregor stay put at featherweight where he’d be safe. McGregor quickly took to Twitter to respond. The last post took direct aim at his future potential opponents. And of course, there had to be a fancy car in the background. 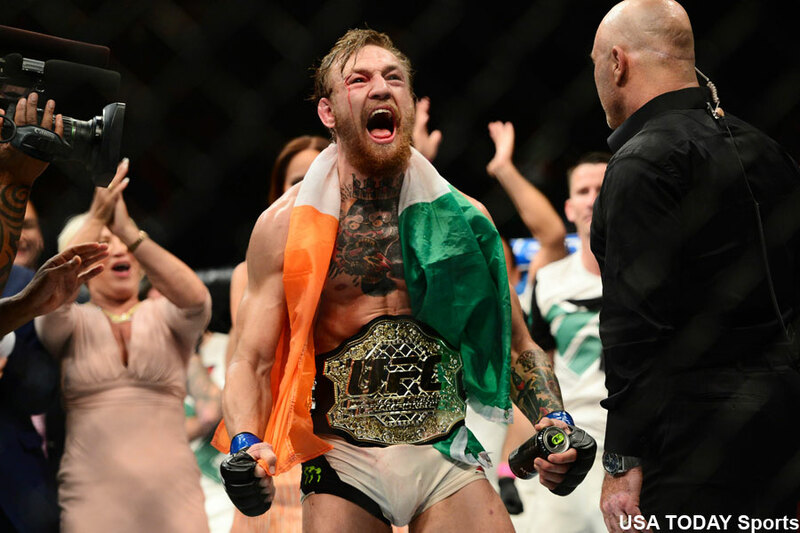 Despite cementing his spot atop the featherweight throne last week, McGregor is already plotting a move to lightweight. He’s hellbent on becoming the first UFC fighter to hold two titles at the same time. Most believed that if Donald Cerrone would have beaten dos Anjos, McGregor would have moved up to immediately challenge him for the lightweight crown because that is a better stylistic fight for McGregor. However, with dos Anjos retaining his hardware, a fight against the Brazilian most likely won’t be the standup affair McGregor prefers. Diaz? There would be great pre-fight banter between the two that would sell the scrap, but considering Diaz doesn’t possess any gold, it wouldn’t make any for McGregor to move up for that fight. Regardless, just one week removed from becoming the undisputed UFC featherweight champ, it’s clear that calling out McGegor is, and will continue to be, the popular thing among UFC featherweights and lightweights.